Parts Parts Parts - Who's got parts to Trade/Sell? 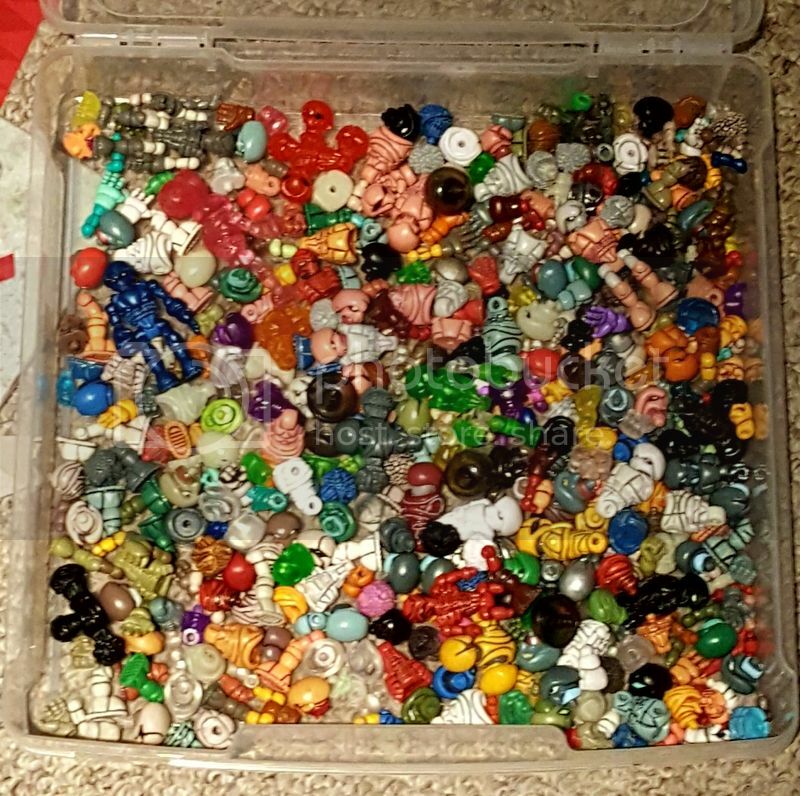 I've been buying & Trading Glyos parts ever since I started collecting in 2012 and have compiled a good amount of stuff, I've completed a bunch of figures I had been putting together and I still have some that need to be completed. Anybody else out there have any spare parts or incomplete figs sitting around? Re: Parts Parts Parts - Who's got parts to Trade/Sell? Doesn't seem to be working. Great idea! And seeing that pic brings back some memories. Did anyone ever figure out an origin for those deep maroon Sarvos Extra Sets? I vaguely remember Plastic and Plush being involved. I'll put up a pic once daylight hits. I have a few odds and ends that someone might find useful! I've had that particular maroon peice come several times through several different lots over the years. That one has already been claimed. I do have the head alone siting there. I need a couple clear glyan leg parts. I've got a lot of random heads and parts to trade. I have spare clear hips. Zeekhotep wrote: Boot or hip? I will look when I get home. I definitely do not have any clear glyan lower legs parts. Could you somehow post a picture of different parts of the bin, preferably without photobucket? Anyone have an extra Glip Sarvos head I could trade for or buy? Mattomaton wrote: Anyone have an extra Glip Sarvos head I could trade for or buy? How about a Pheynoid extra set? That's what I'm looking for. I sent you a pm. Thanks! ThatGuyNamedJoe wrote: Could you somehow post a picture of different parts of the bin, preferably without photobucket? I've been meaning to lay them all out with tags of what they all are but i just haven't had time.